Hey east coasters, you've surprised me again. Around every corner of this coast, every nook and cranny are surprises. Maybe I'm just noticing everything because for me it's new new new! But I digress, people here are rude. Especially when I'm either driving or walking. And just yesterday I realized even east coasters think other east coasters are rude. Mechanic: "So are you from the west coast?" Me: “Yeah, born and raised in southern Washington." "My ex-boyfriend was from Oregon." "Haha, you know, since I’ve moved here, the east coast reminds me of a milder version of India." Laughing ensued from the other two mechanics, "Wow, never heard that one before." Well readers, it's true. If you're an east coaster reading this and shaking your head in anger, think about this. When was the last time you stopped at a crosswalk for someone and actually waited for them to cross? Not the crosswalks that have the flashing lights that make you stop if someone presses the button. No. The ones that only have white stripes. Stopping at a crosswalk is a common and courteous occurrence in Oregon and Washington, Idaho and Nevada, (California is a different manner...), but not here. Oh, by the way, it’s illegal not to stop for pedestrians waiting at a crosswalk. Still, no one stops. 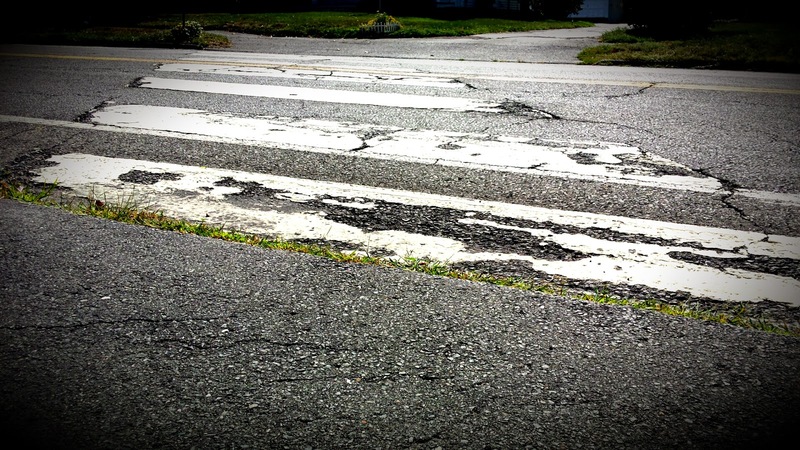 I remember the first time I tried to walk across the street at a marked crosswalk. I had been living in Connecticut for two weeks and I wanted to walk to the Stop and Shop down the street. Oh, yeah, and I waited some more. I clearly wanted to cross, but no one stopped. When there was a break in the cars, I began walking, but I wasn't fast enough to cross before a car started coming my way. He began to slow down, but he didn't stop. As I continued walking, he started revving his engine and inched up closer and closer and I was afraid he was going to run me over. When I made it to the other side, he honked at me. I wanted to smack him so hard. And I certainly called him some wonderful and colorful names. Don’t worry, he saw the backside of my middle finger, too. All the while, my husband and in-laws waited on the corner hoping someone would stop. You see, my father-in-law went through brain surgery eight months ago and he walks with a slow limp. No one stopped for him even though it’s clear that he needs more time to walk across the street. But I must be strong and carry on! 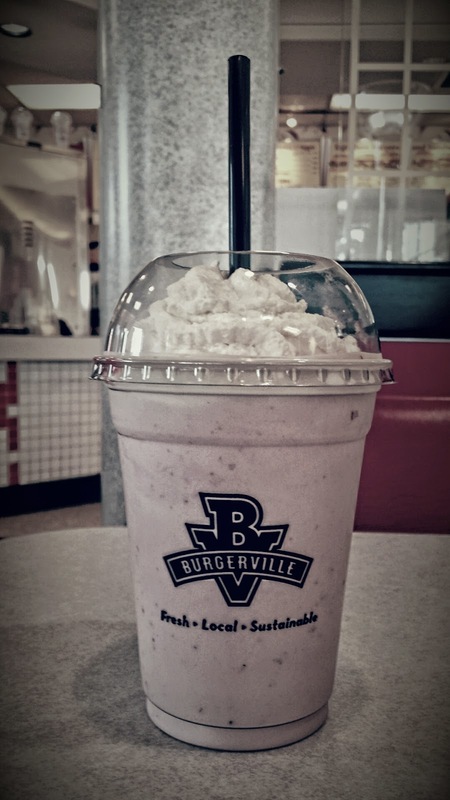 Because one day I'll be back in Portland, OR sipping my Burgerville strawberry milkshake and crossing the street without fear of spilling my precious oh so precious shake. I made this extra-large for a reason. Who wouldn't move to Oregon for that?